Home being featured on HGTV House Hunters. Welcome home to 524 Nebraska Ave. Located in the "Franklin" district of Long Beach just blocks away from the rejuvenated and hip "Retro Row" of 4th St., offering terrific dining, shopping and entertaining options. 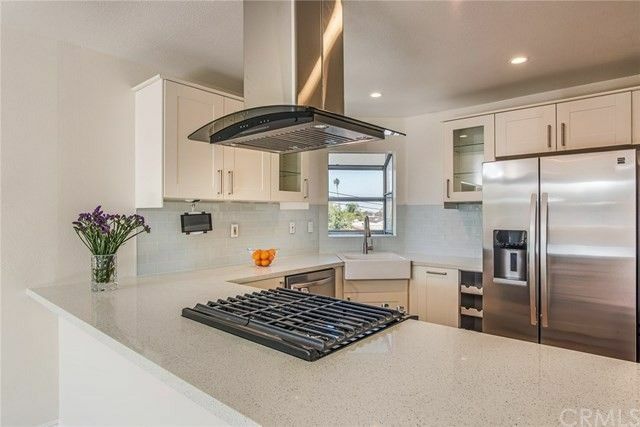 This top floor remodeled residence is sure to impress and also offers quick access to the terrific Downtown and Belmont Shore districts nearby too. This boutique complex offers secured parking and entry and this fantastic FULLY remodeled home offers designer touches and high end upgrades throughout, including: Quartz kitchen counter tops with custom glass subway tile backsplash, stainless appliances, new faucets,new Driftwood Bay flooring throughout,new baseboards, new crown molding, new recessed lighting, stacked stone designer fireplace feature wall, remodeled bathrooms with custom cabinetry and tile work and more!! You will love the tranquil out look from this end unit of the tree lined street and neighborhood from the many windows of this light and bright home offering an open floor plan. The residence also offers a nice sized balcony to enjoy the outdoors as well. You will love having a secure, gated parking space and additional storage and inside the unit laundry, all while maintaining LOW HOA dues in this newer, renovated complex that is well maintained.